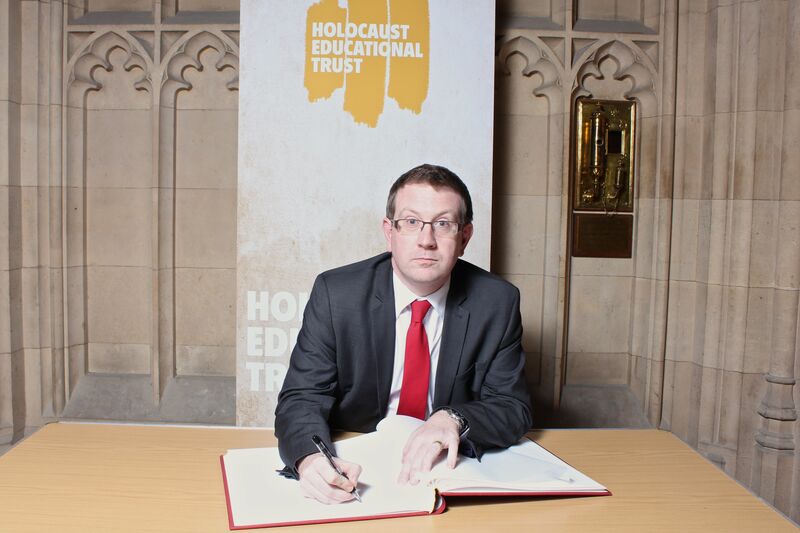 Marking Holocaust Memorial Day this week, Andrew Gwynne MP signed the Holocaust Educational Trust’s Book of Commitment in the House of Commons, honouring those who died during the Holocaust as well as honouring the extraordinary Holocaust survivors who work tirelessly to educate young people about what they endured. Monday 27th January will mark the 69th anniversary of the liberation of the Nazi concentration and death camp Auschwitz-Birkenau, the site of the largest mass murder in history. “Holocaust Memorial Day marks the anniversary of the liberation of the Nazi concentration and death camp Auschwitz-Birkenau – and is an important opportunity to remember the victims and survivors of the Holocaust. “I encourage all constituents to mark the day and to join members of our community in the fight against prejudice and intolerance, which are still massive threats. I agree a very important cause. The book I mentioned above is A life sentence of memories ,by Issa Hahn. Kooning, auschwittz, London.